Helen Girard finished her MA at the University of Basel in Islamic Studies in 1993. 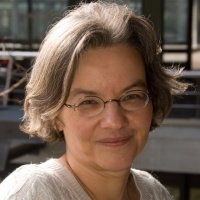 After seven years at the head office of an International NGO based in Zürich, she joined the Institute of Physiology of the University of Zürich in 2001 as secretary to the Epithelial Transport group. Since 2012 she is also working for the Interface Group.